Walking is probably an activity you take for granted, but scientists say it could have something to say about the survival of older people. 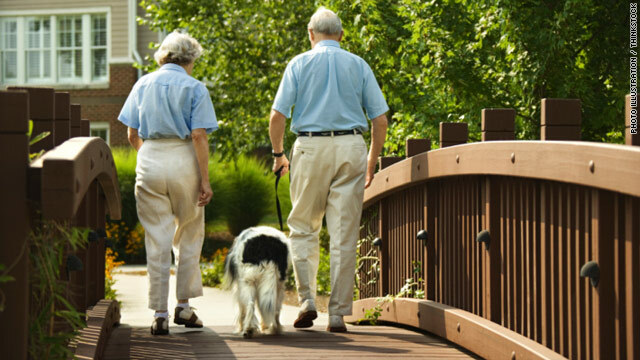 A large study in the Journal of the American Medical Association finds that walking speed may be a good predictor of the life expectancy of senior citizens. Slowing down, it seems, may actually mean the end is nearer. Most Americans - 85% of adults - say they use seat belts regularly - an all-time high, according to a new report from the Centers for Disease Control and Prevention. And while this is strong improvement compared with only 11% wearing seat belts in 1982, more can be done, says the CDC's director, Dr. Thomas Frieden. "Not wearing seat belts is costing us lives and money," Frieden told reporters Tuesday. 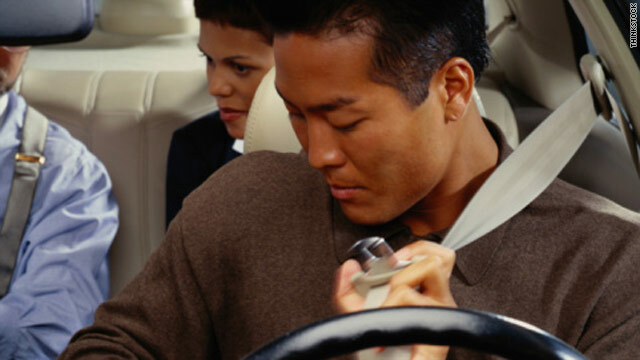 According to the agency's newest report on seat belt use and nonfatal car accidents among adults, auto crashes are the leading cause of death in the United States for people ages 5 to 34. How can I get mental health services? How can I get acceptable mental health services? I am 31, living off of Supplemental Security Income and have Medicaid. I cannot get assistance to have all basic essentials met. I am limited to what can be done alone without money or being able to walk or go too many places at once. I just need to know what to do. In the Human Factor, Dr. Sanjay Gupta introduces you to survivors who have overcome tremendous odds. Confronting a life obstacle – injury, illness or other hardship – they tapped their inner strength and found resilience they didn’t know they possessed. Be inspired by their successes, as we have been. Today, renowned neurologist and author Oliver Sacks explains how he has coped with the rare but real disorder known as face blindness. I have had difficulty recognizing faces for as long as I can remember. My inability to recognize schoolmates would cause embarrassment and sometimes offense— it did not occur to them (or to me, for that matter) that I had a perceptual problem. I recognized close friends without much problem, but this was partly because I identified particular features: Eric had heavy eyebrows and thick spectacles, and Jonathan was tall and gangly, with a mop of red hair. I had no trouble recognizing my parents or my brothers, though I was less adept with my huge extended family and completely lost trying to identify them in family photos. But I still sometimes fail to recognize my assistant, who has worked with me for 27 years. I have what neurologists call prosopagnosia—an inability to recognize individual faces as most people can. One of the questions we are often asked in CNN's health, wellness and medical unit is how do we go about deciding what studies we are going report on. We call experts, look at past studies and ask many critical questions. There are many studies that we decide aren't relevant to our readers and viewers. It's our job to make sure we give you as much perspective as possible, to explain what other science is out there and how much the current research is likely to really affect anyone's life. This week, HLN's Richelle Cary invited me on to explain.